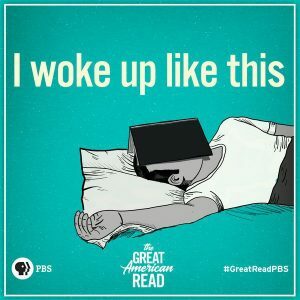 Have you heard of The Great American Read? This eight-part PBS docu-series explores the 100 best-loved American novels as they compete nationally to become America’s best-loved book. Potential voters can visit http://www.pbs.org/the-great-american-read/home/ to cast their vote, discover which novels made the 100 best-loved book list, catch-up on missed episodes, or share their stories of their favorite books. Not sure which book to vote for? Then check out the library’s reader recommendation service. We’d be glad to help you find your next favorite classic or help you reconnect with old ones.